Authentic Auto Roulette 30 has been renamed to Authentic Auto Roulette Classic 1. It’s been renamed by Authentic to enable other changes to be made to their expanding Auto Roulette game portfolio. Betting time of 25 seconds. Game round takes 63 Seconds. Full range of Call Bets. Statistics of last 250 Spins. 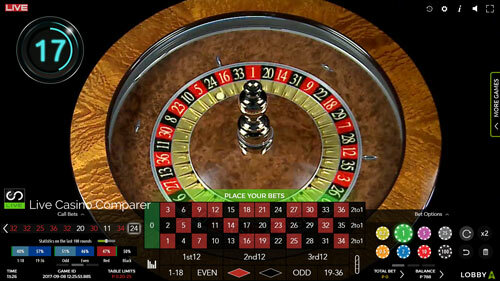 Authentic Auto Roulette Classic 1 is the first of five different versions of Auto Roulette by Authentic Gaming. The other four are Authentic Auto Roulette Classic 2, Authentic Auto Roulette Speed, Authentic Auto Roulette VIP and Blaze Auto Roulette. 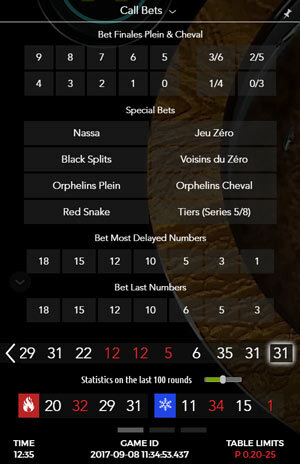 Classic 1 has a betting time of 25 seconds. A full game round, Spin to Spin takes 63 seconds. Auto Roulette Classic 1 is operated without a Live Dealer, but the rest of the equipment is real. The game is controlled by a computer with compressed air being used to spin the wheel and control the introduction of the ball. Lasers are used to read the position of the Ball when it lands so the result can be read by the computer and winning payments made. In the video of Auto Roulette Classic 1 you’ll notice two things. Once the spin has been completed the winning number position of the wheel is returned to the 10 o’clock position so the ball is ready for the next spin. 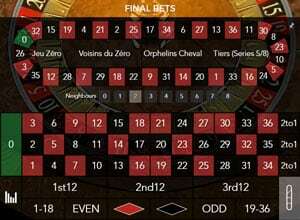 The next spin starts when betting time has ended. It’s retrieved by a vacuum of air and then compressed air is used to fire it into the wheel. The wheel is spun in alternate directions each game round, starting from the last winning number. The playing interface is really cool and has standard features that you’ll see across most of the Authentic games. You can bet pretty much wherever you see a number or statistic on the screen. Statistics can be displayed from the last 250 game rounds. The last 5 Hot & Cold Numbers are displyed. 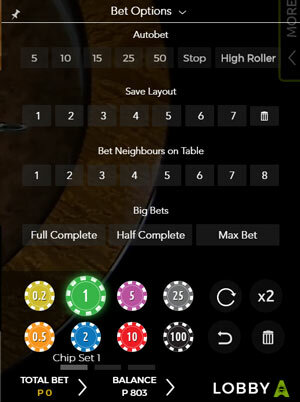 There’s a full range of call bets, with the ability to choose number of neighbour bets. There’s the ability to save your favourite bet layouts. Uniquely there is an Auto Spin facility, where you can select the number of spins you want to place the same bets for. A good version of Auto Roulette. It would be good if La Partage was an option.